The hip is a ball (femoral head) and socket (acetabulum) joint. A hip replacement becomes necessary once all medical treatments have been exhausted. The diseased hip joint becomes so badly damaged that, in spite of painkillers, it causes significant pain which interferes with your quality of life. The purpose of surgery is to relieve pain and therefore improve function and quality of life. Hip replacement is one of the most successful operations performed and thousands are performed each year. Surgery either takes place under a general anaesthetic or with an anaesthetic injection in the back (spinal anaesthetic) with or without sedation. The operation usually takes between one and two hours. It usually involves removal of the head of the femur, which is replaced with a stem and ball. 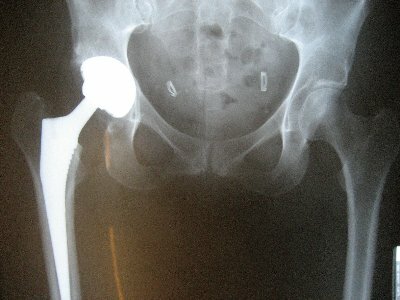 The socket is also prepared to receive an acetabular component. The type of hip replacement performed will depend upon many aspects, such as your age, job, hobbies, level of function and general medical health. My cemented hip replacement of choice is the Exeter hip replacement, which is one of the three hip replacements recommended by NICE (National Institute of Clinical Excellence). 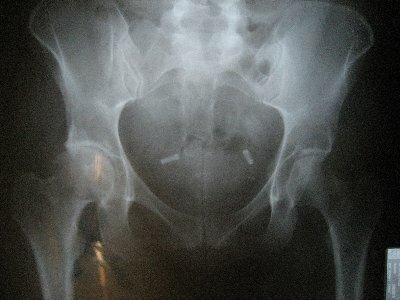 I also perform uncemented hip replacement, usually a Taperloc/Exceed hip replacement with a ceramic on ceramic bearing. Hospital stay is between 2 and 3 days and it usually takes 2 -3 months to get over the procedure and return to normal activities, although this is variable upon individual circumstances. Rehabilitation usually starts on the day of surgery. The physiotherapist will advise you when to do this and will provide you with a programme of activities to perform in hospital and when you go home. Long term recovery and function is dependent upon not only the quality of the initial surgery but also the amount of work done by the patient in the rehabilitation phase.